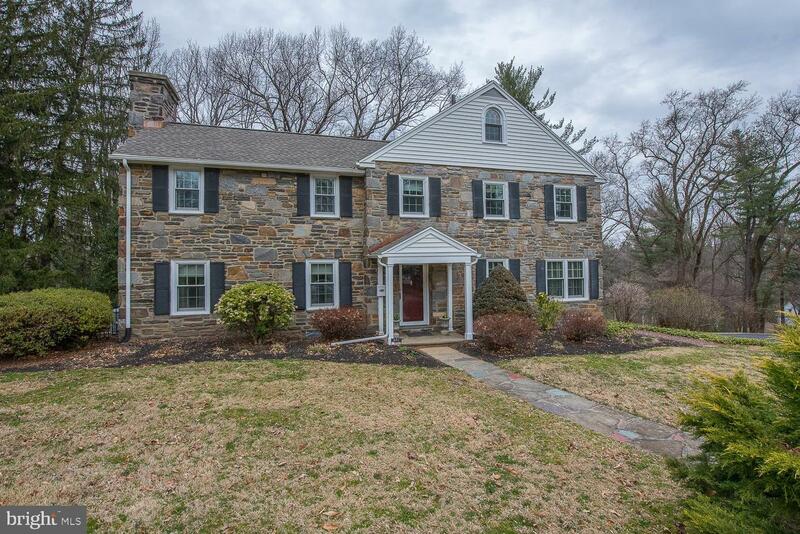 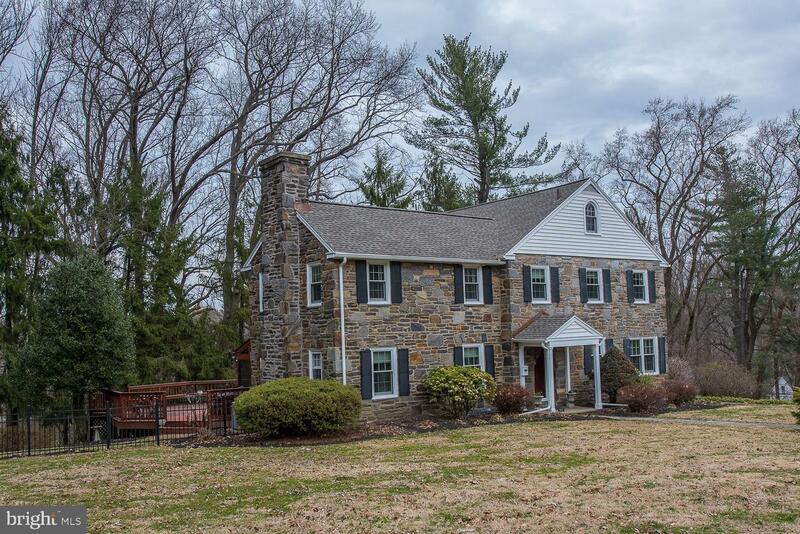 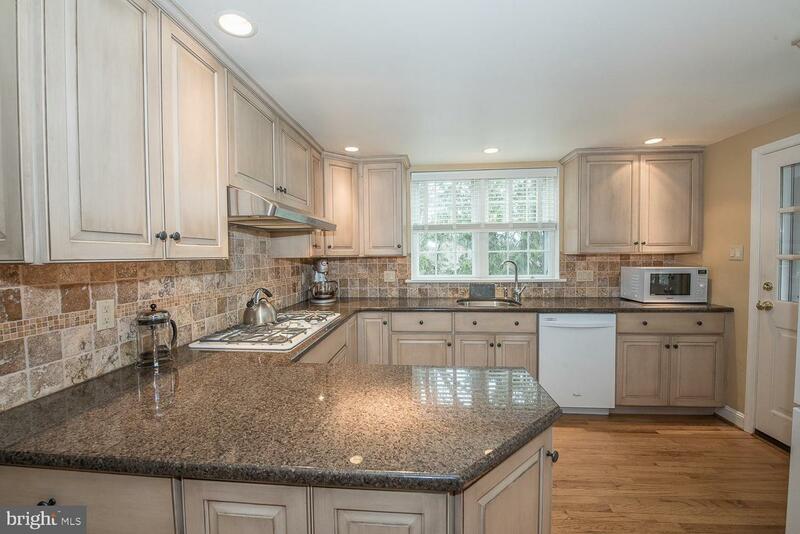 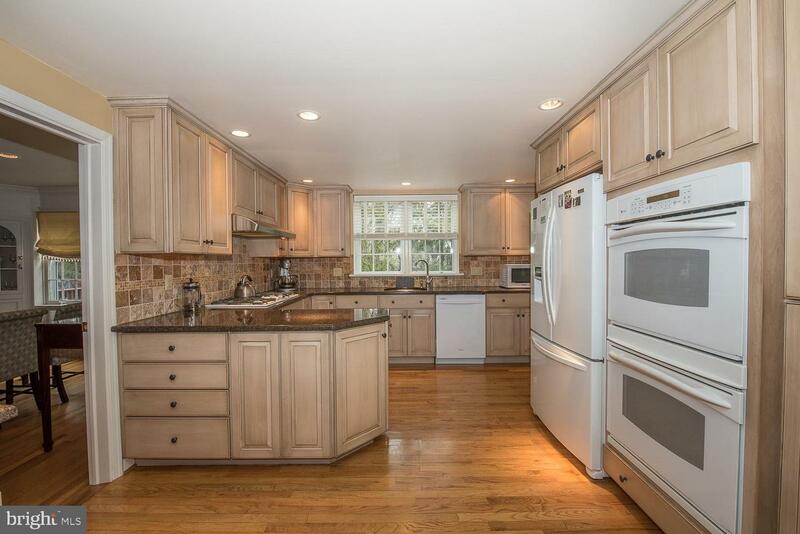 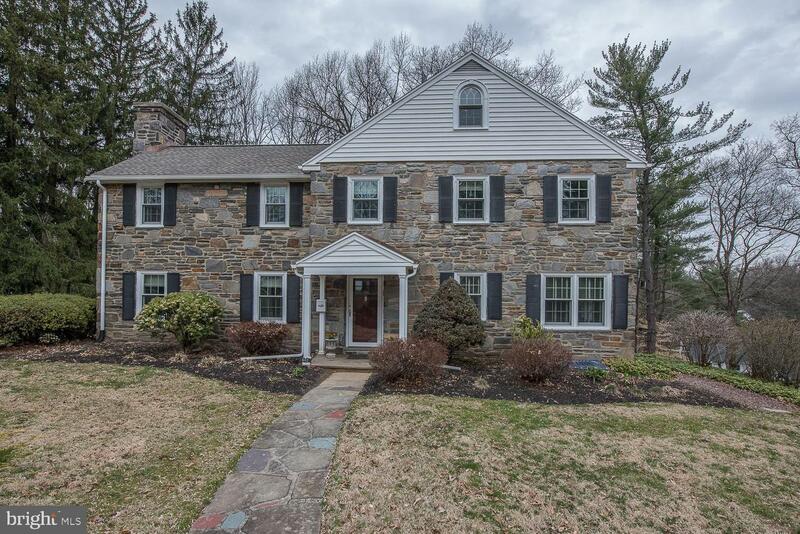 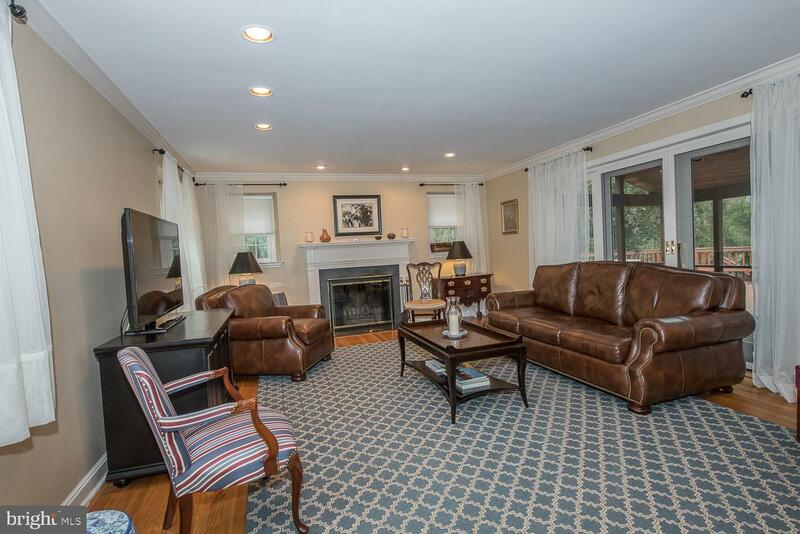 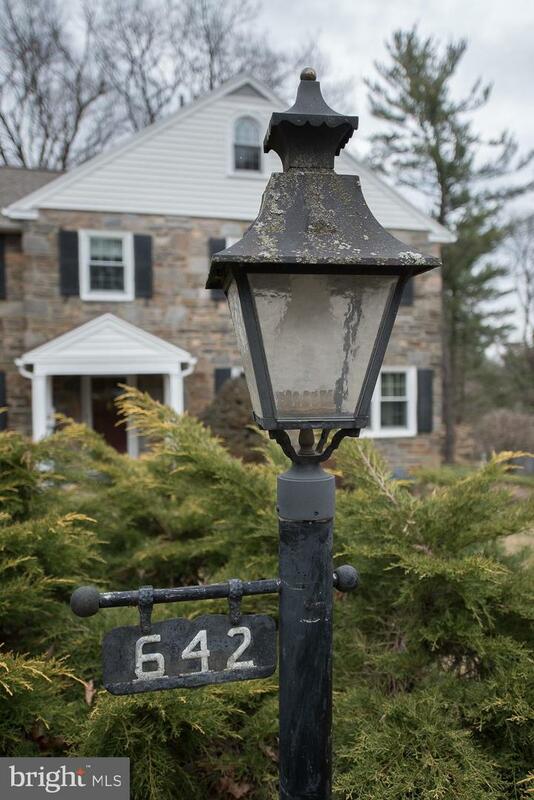 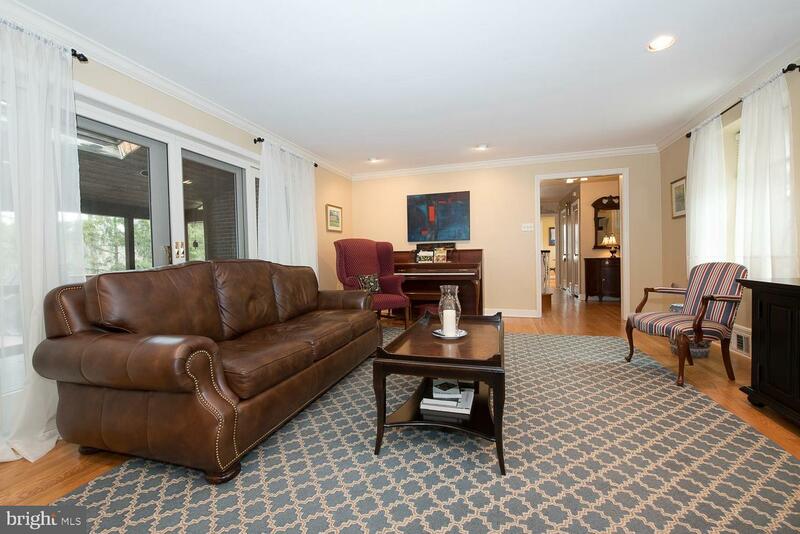 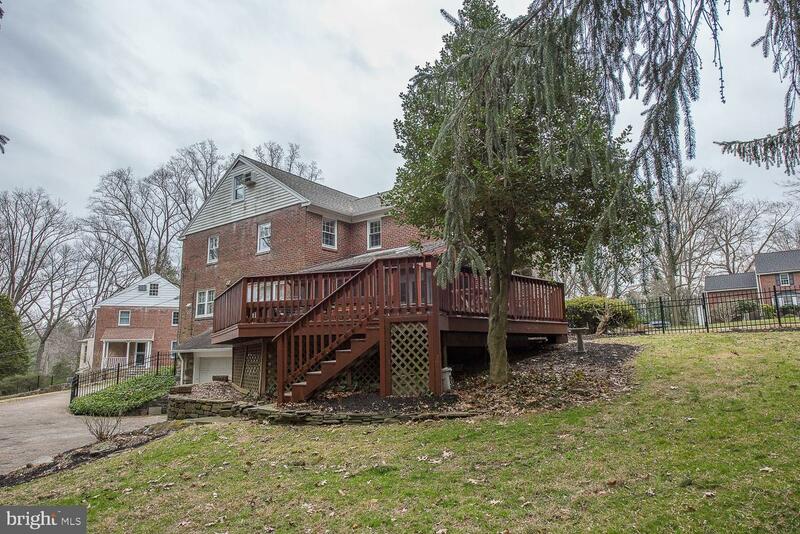 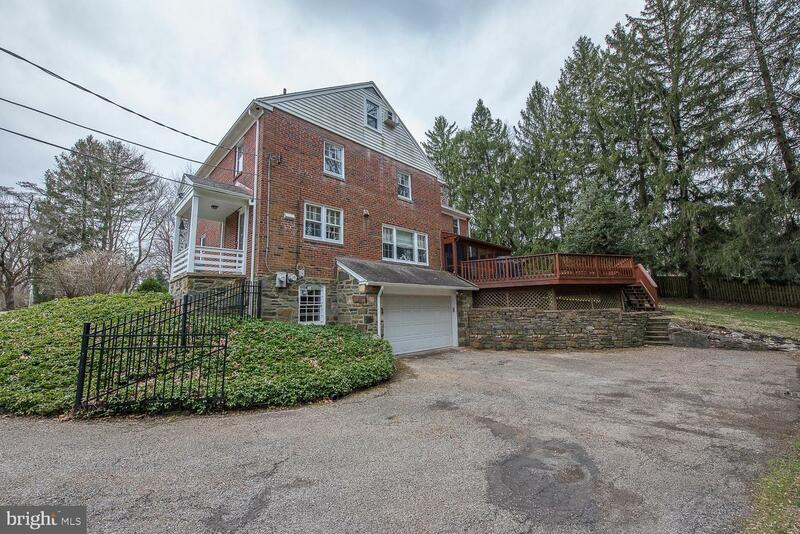 This meticulously maintained and tastefully updated three story classic stone and brick colonial is ideally located in the sought-after picturesque neighborhood of Merion Park. 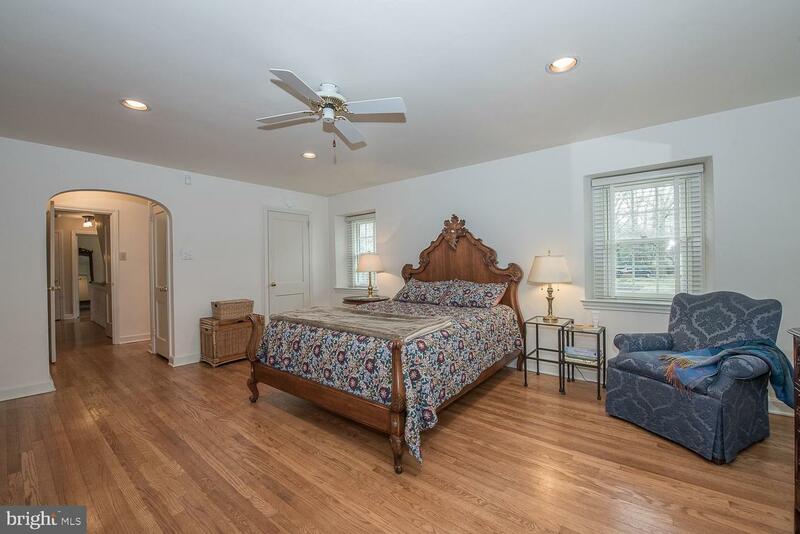 With its classic design and gracious proportions this very special residence provides a wonderful flow for entertaining and comfortable care free living. 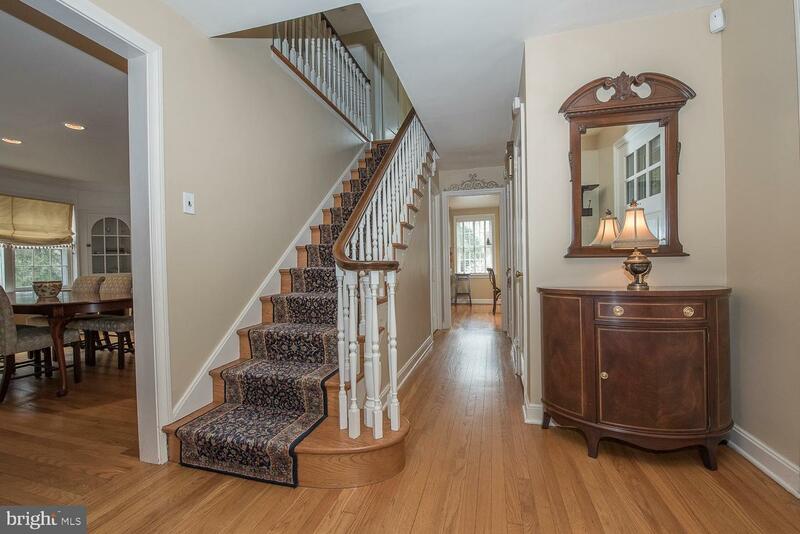 Characteristic features include deep silled windows, handsome millwork, Baldwin hardware on the doors, architectural lighting, and rich hardwood floors. 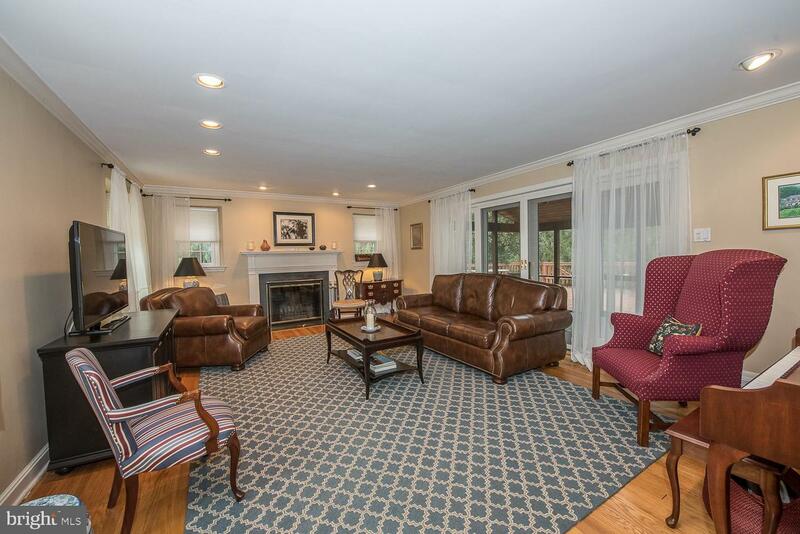 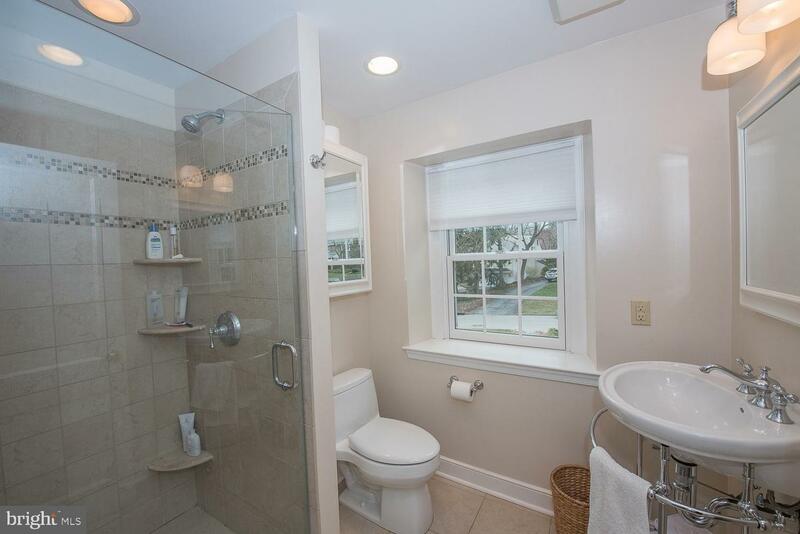 This 4/5 bedroom home with 2 1/2 tastefully renovated baths boasts a highly efficient modern kitchen open to a bright and cheerful gathering area, a fireside living room and formal dining room both leading to a skylit screened in porch. 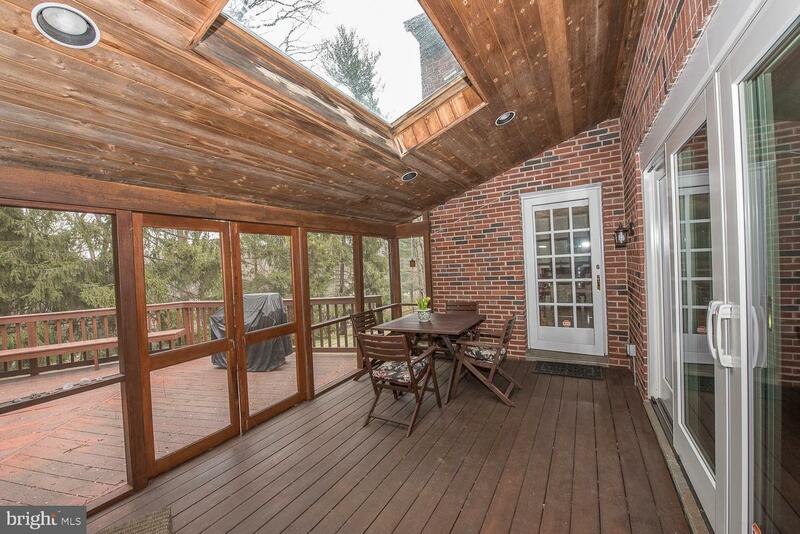 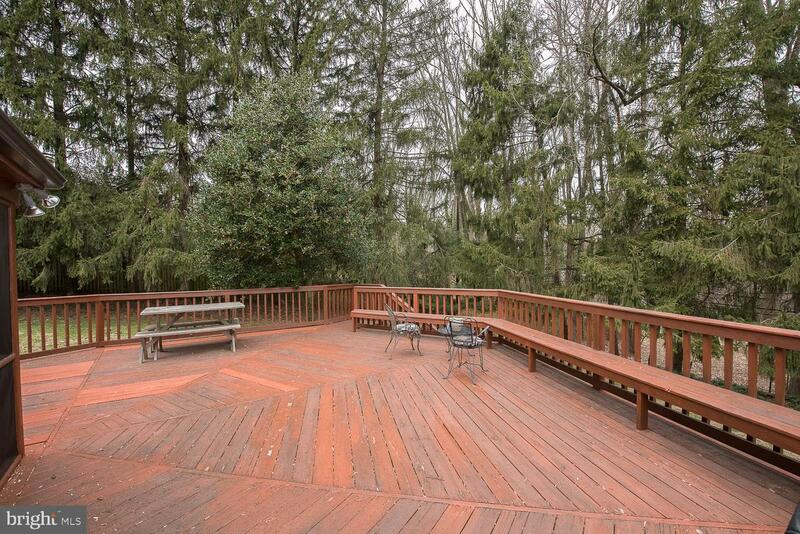 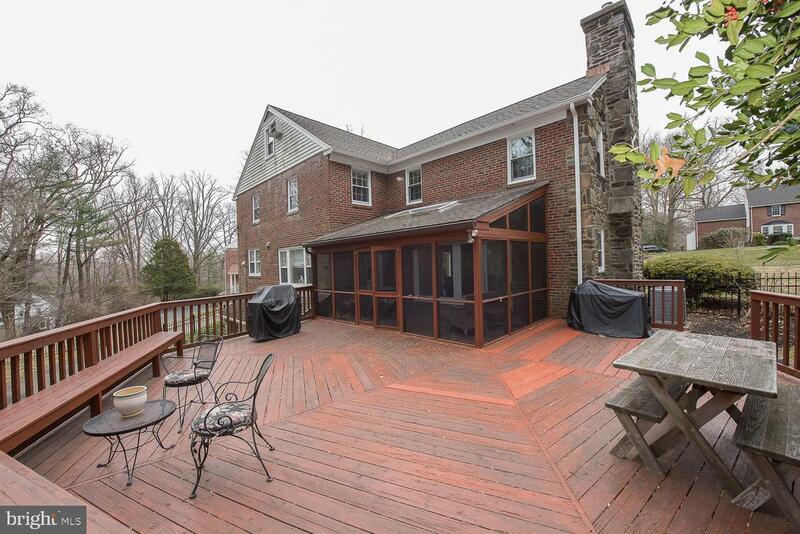 The expansive deck just off the porch overlooks the side yard and backyard. 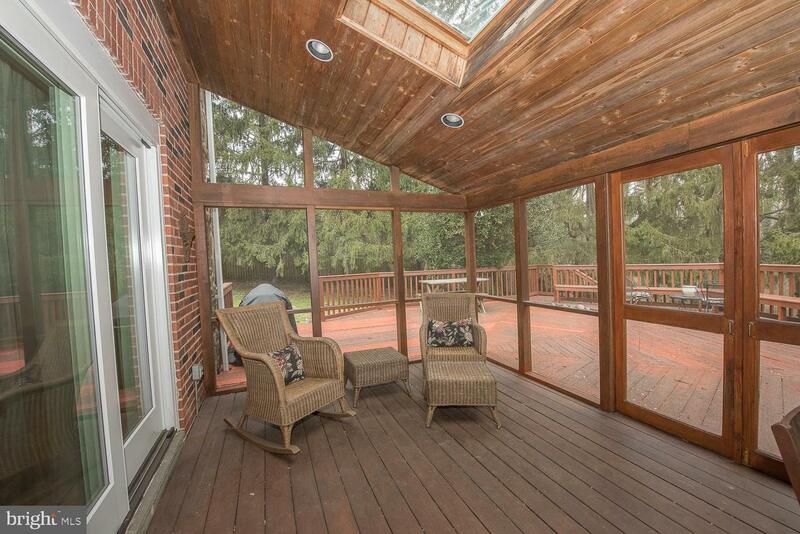 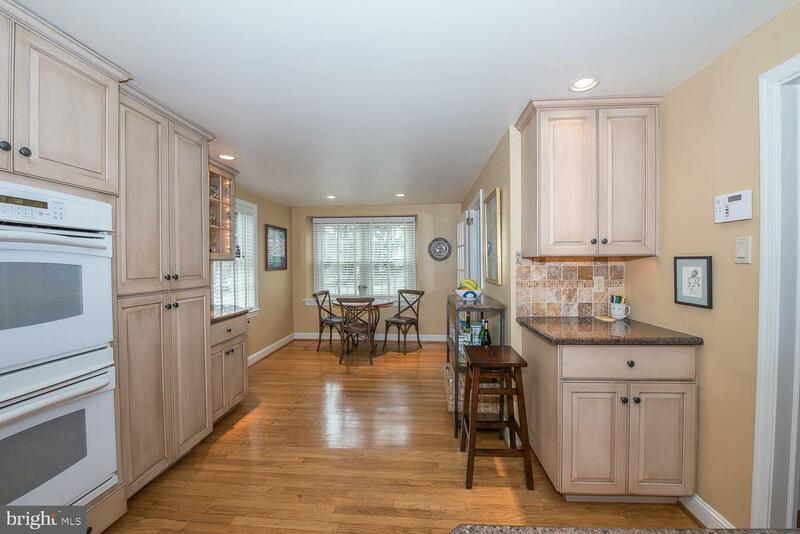 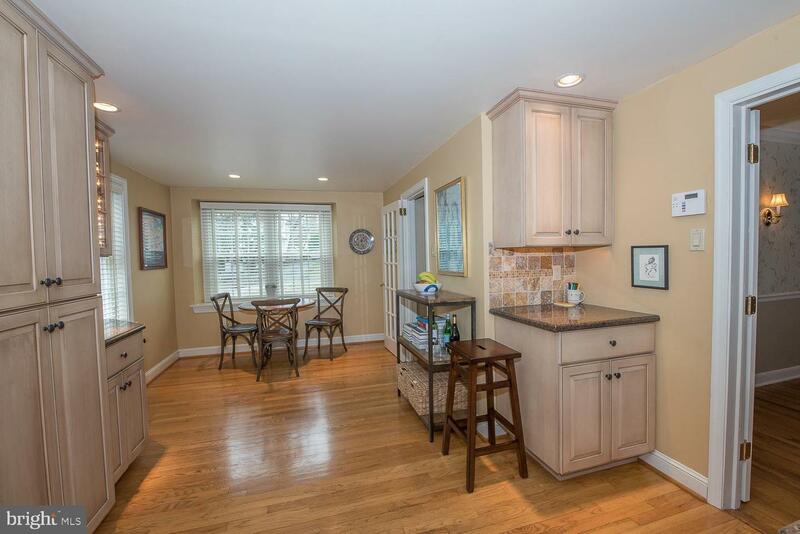 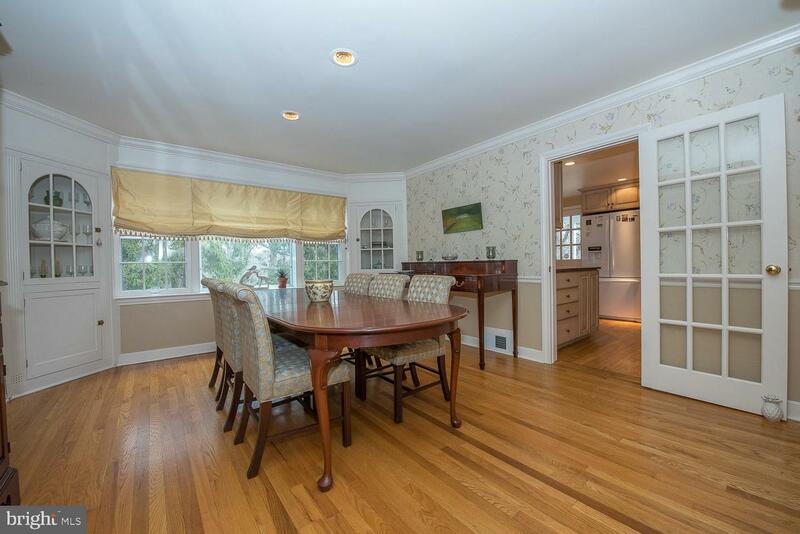 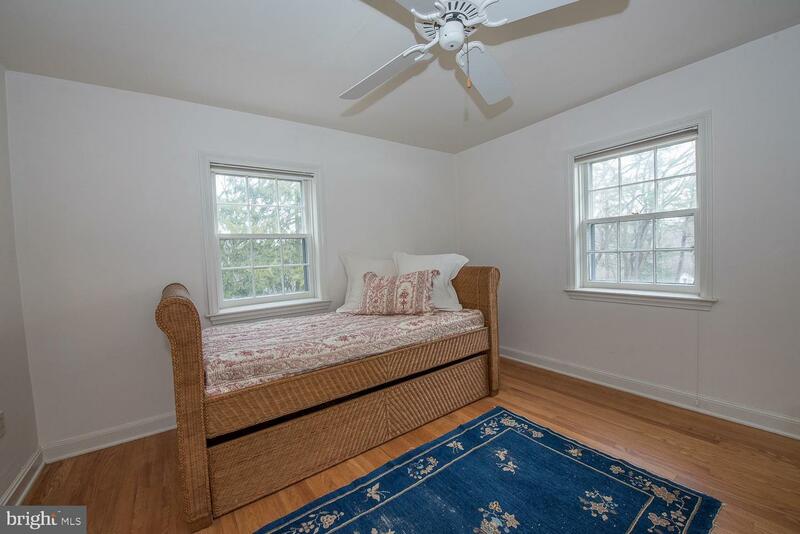 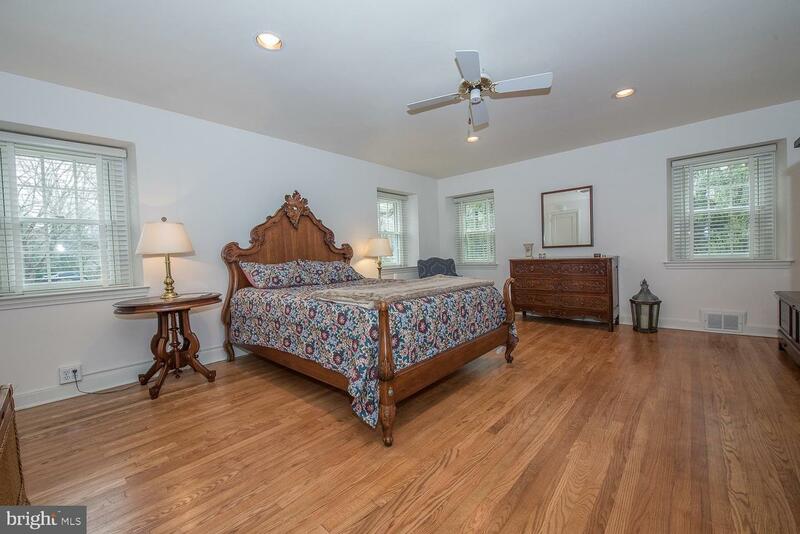 This most delightful home is set on nearly a 1/2 acre lot with mature trees as its backdrop. 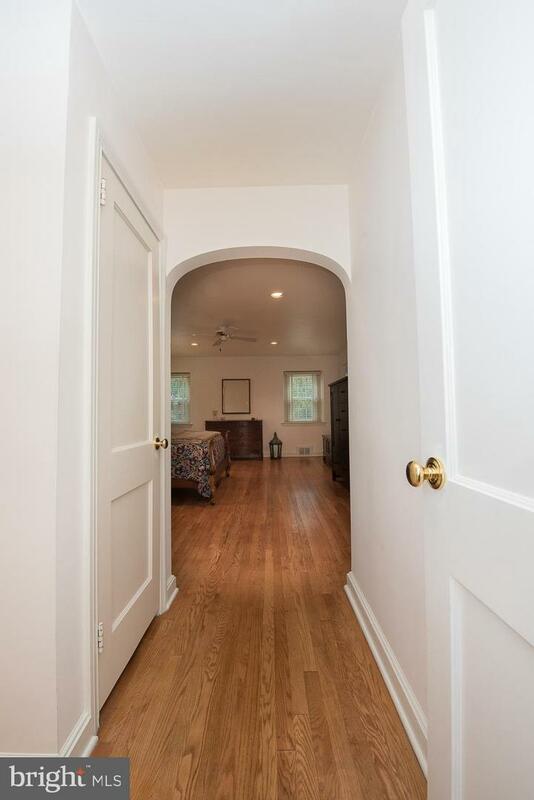 A Flagstone walkway leads to the front door. 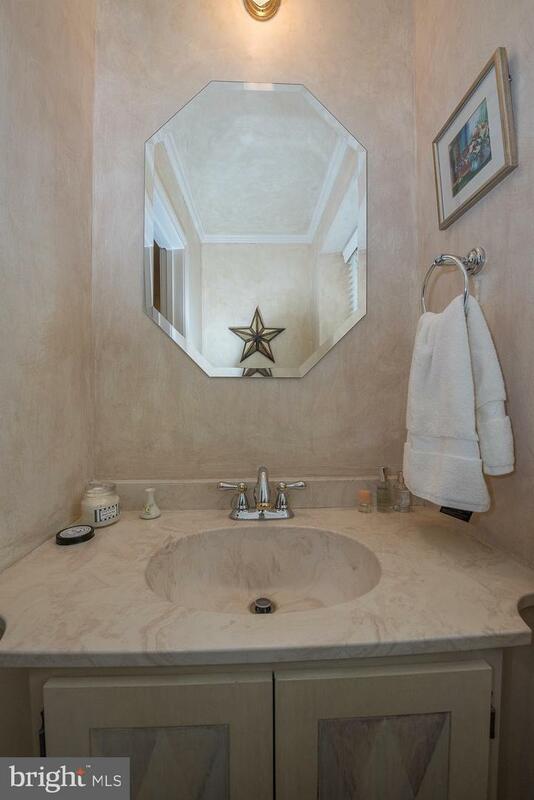 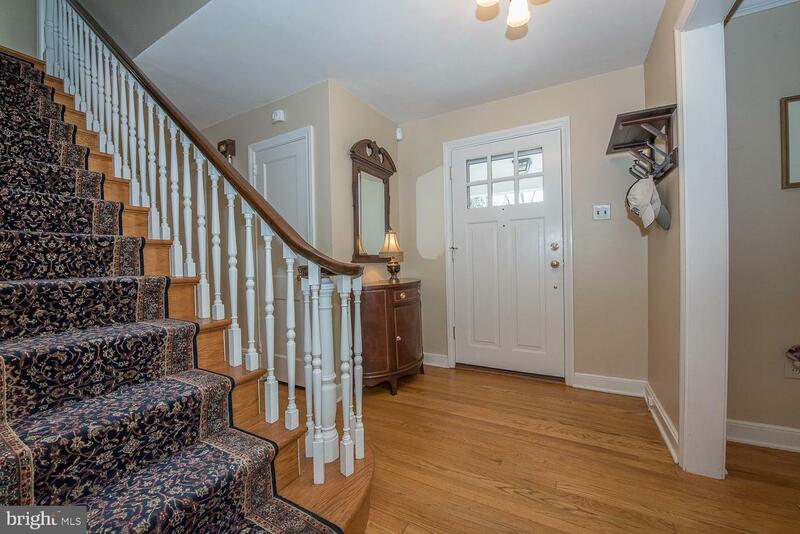 Through the entry foyer is an attractive transverse staircase, coat closet, and powder room. 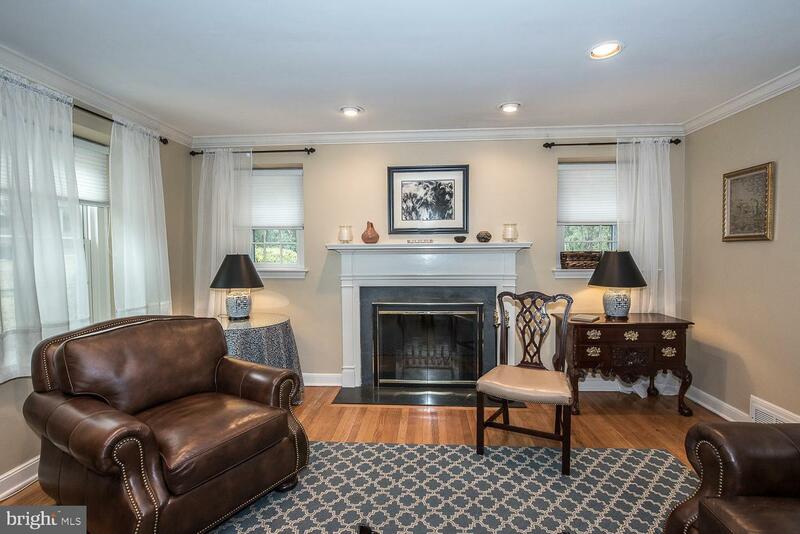 The living room is enhanced by a wood mantled and slate fireplace. 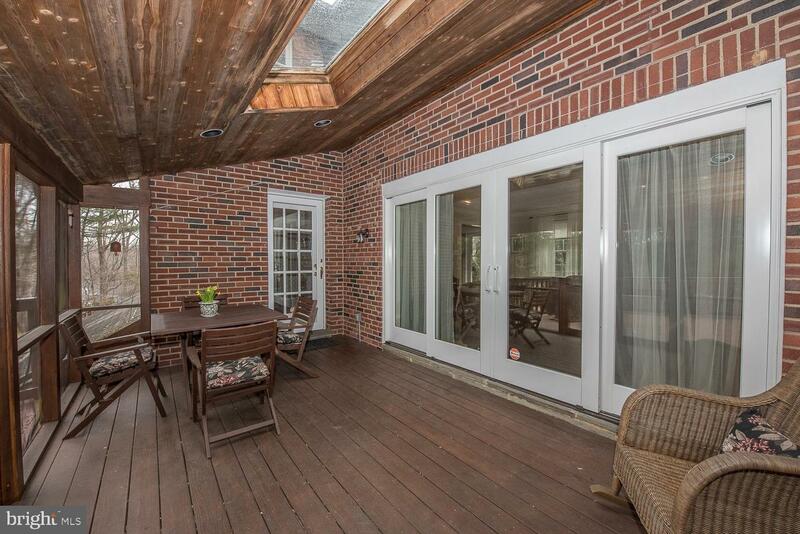 Double door sliders flanked by floor to ceiling windows exit on to the screened in porch and deck. 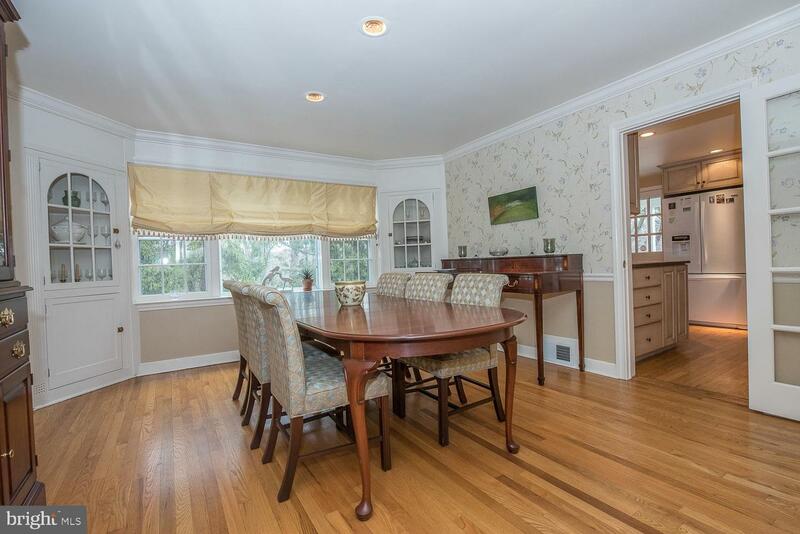 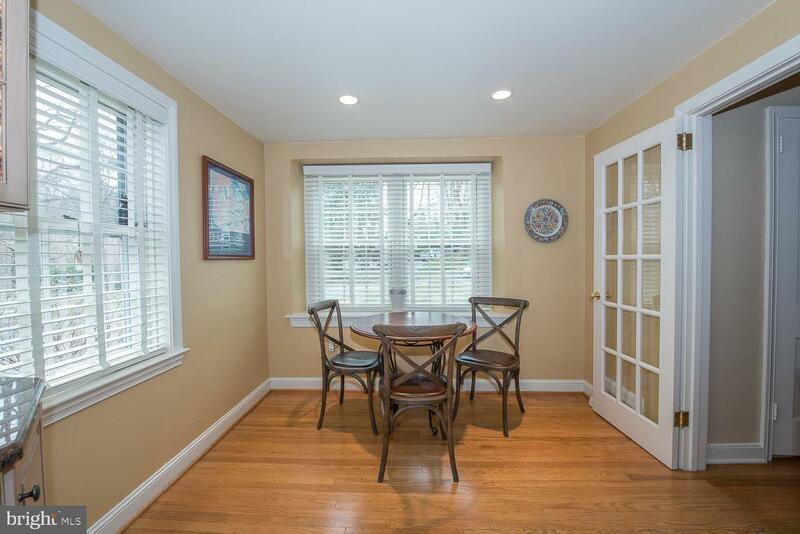 The warm and welcoming dining room with chair rail, crown molding, built in corner cabinets, and a picture window also exits to the screened in porch and deck. 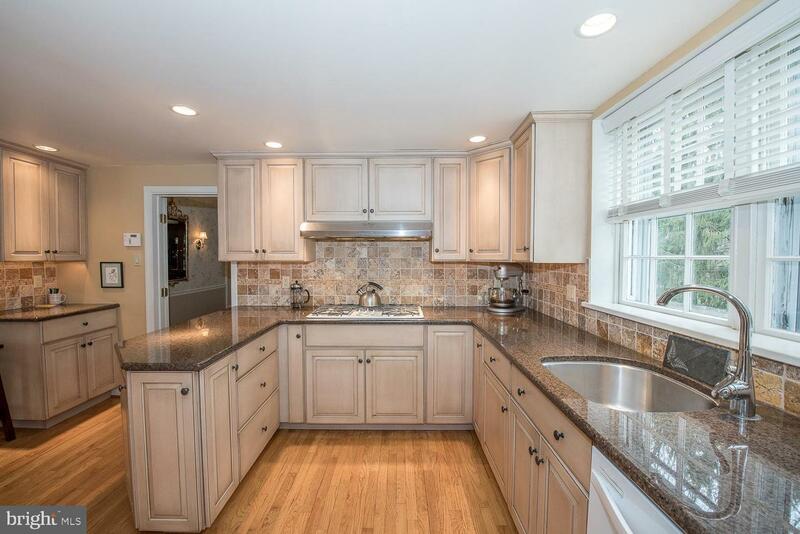 The impressive open, eat-in kitchen features granite counters, abundant cabinetry including pull-out pantry shelves, tumble marble backsplash, a double door French-style refrigerator, a 5-burner gas cooktop, double wall ovens, and a generous in size gathering area. 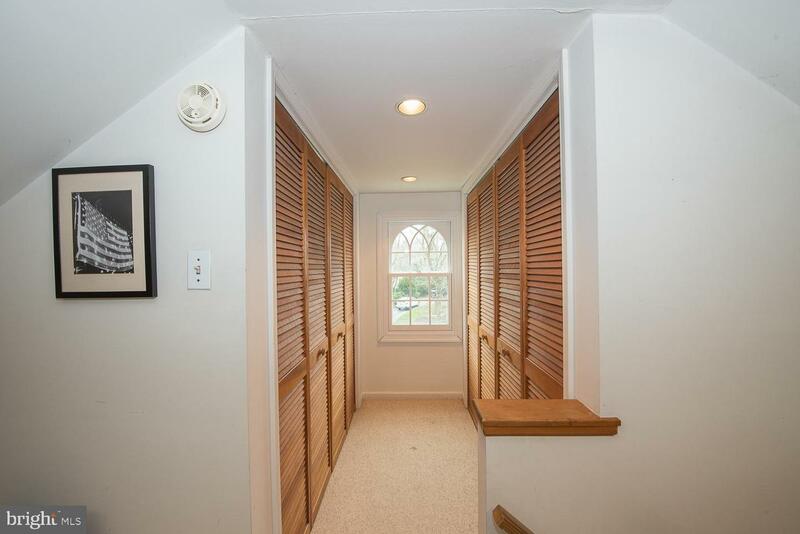 An exit from the kitchen leads out to the driveway.Up on the second floor is a Master Bedroom suite consisting of the Master Bedroom with 6 deep silled windows, a ceiling fan, two closets with organizing systems, the updated master bath with a large stall shower, 3 additional bedrooms (two with ceiling fans) and an updated hall bathroom.The third floor features the 5th bedroom, currently set up as an office, with two large closets, built-in shelving and desk space. 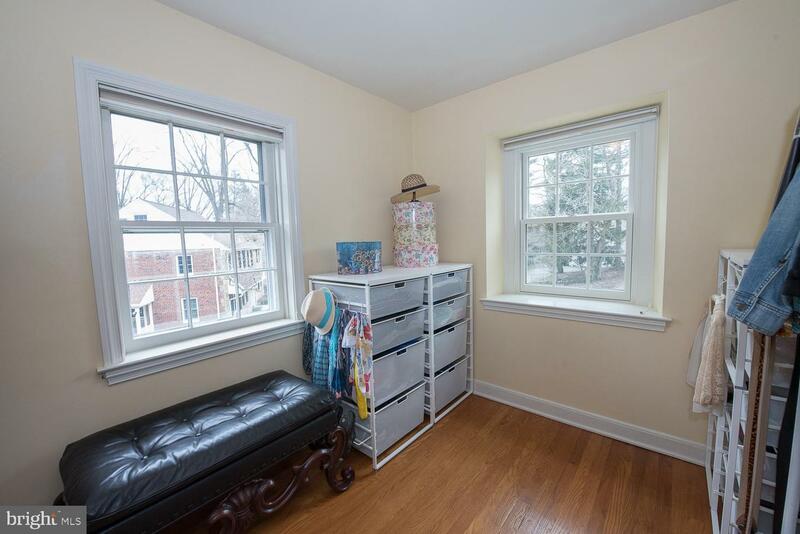 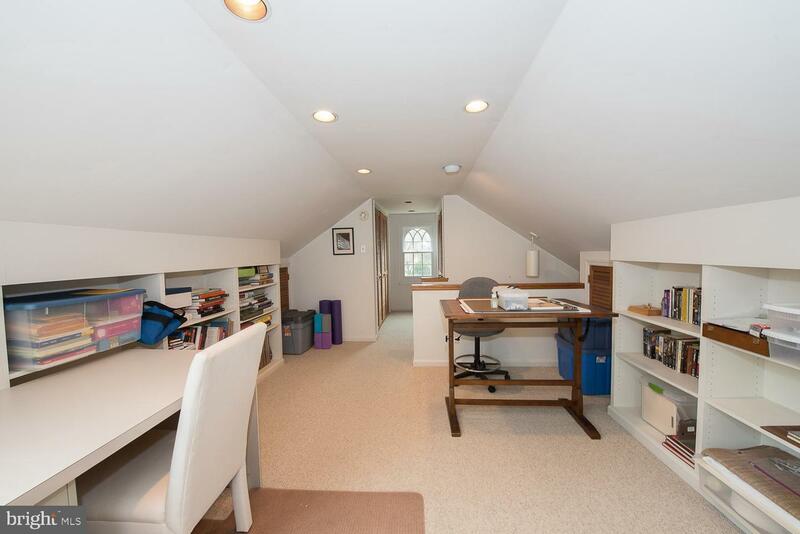 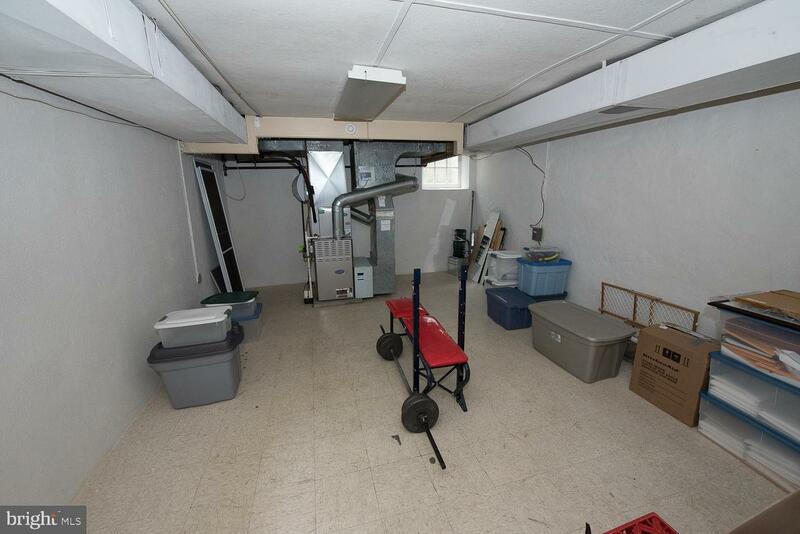 The basement is clean and neat with a laundry area, utility area, and a built-in workbench. 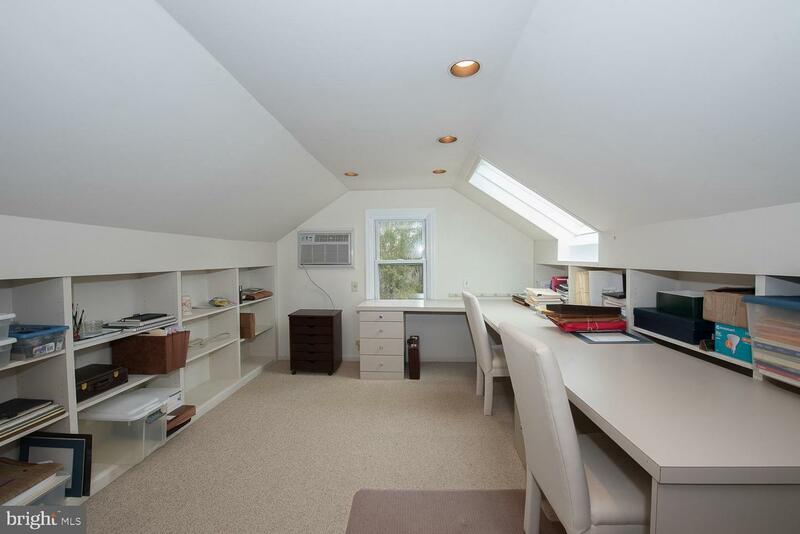 There~s an exit that leads to the built-in, oversized one car garage with ample storage space. 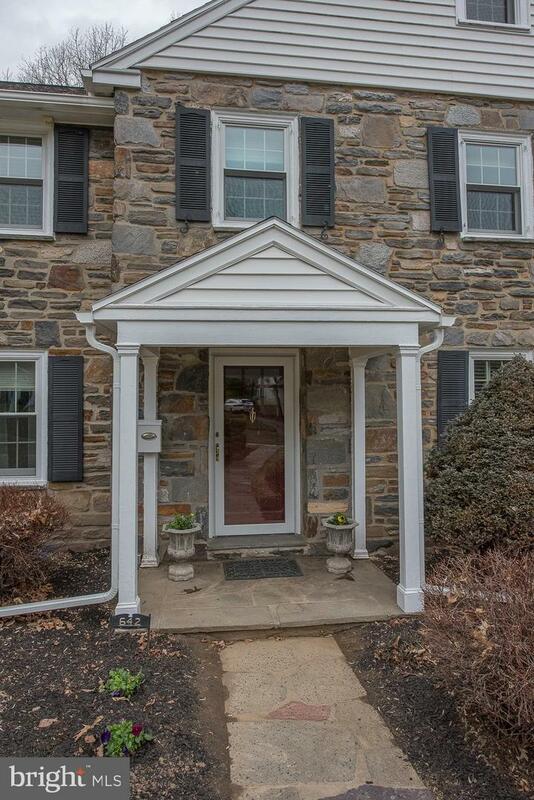 Just around the corner is popular General Wayne Park. 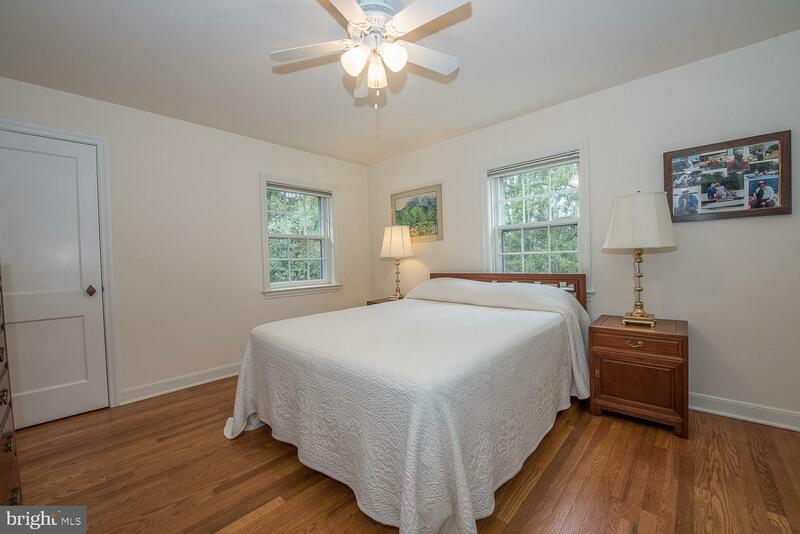 Also, within walking distance to the quaint town of Narberth and public transportation (both train and bus) to Center City Philadelphia.